Lately I’ve been getting all caught up with different side projects that never really went anywhere. I’ve been working on video game reviews, a cartoon and movie reviews, but none of these projects have been as fun (or as quick and easy) as making comics. So I am going back to a regular update schedule for the comic. 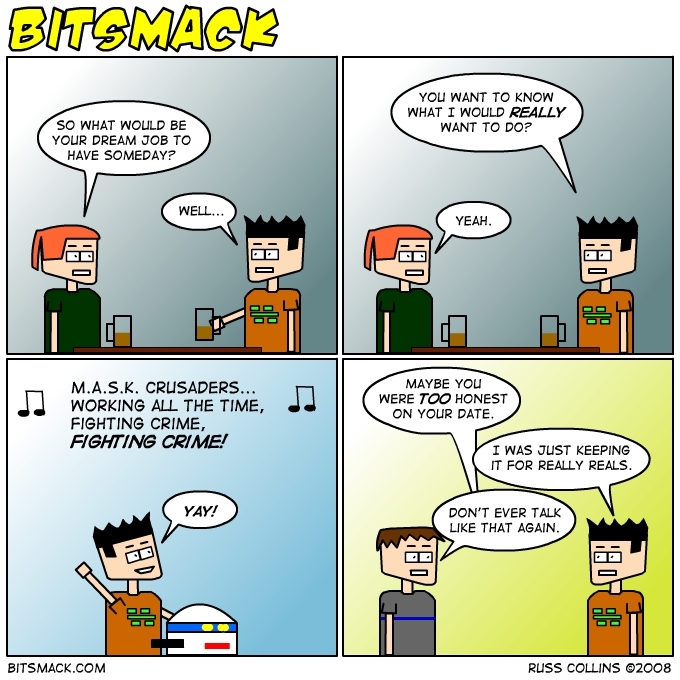 Every Tuesday and Thursday come back to Bitsmack for a new webcomic. Tell your friends, tell your enemies, tell your secret lovers. Bitsmack is back with a vengeance!